After ingredients are prepared toss ingredients into the blender in order and liquify! Talk about EASY BREEZY!!! 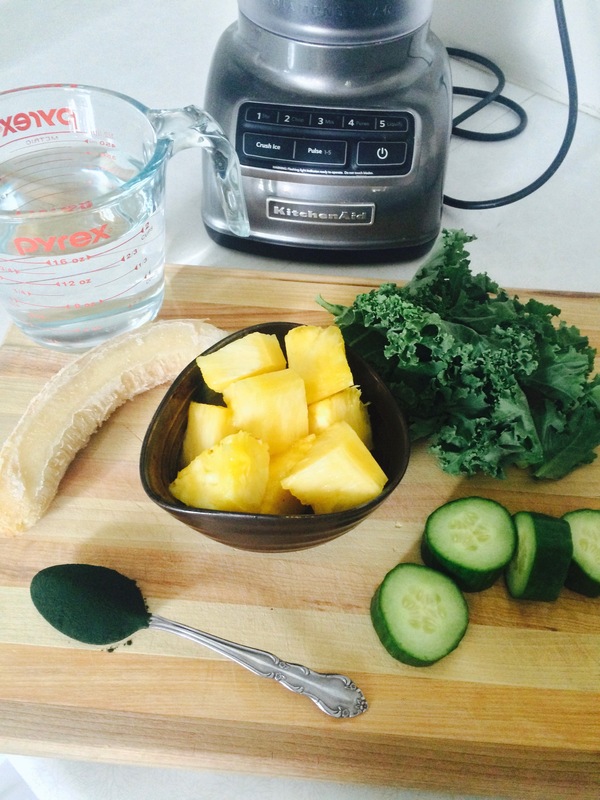 I love this smoothie to get my day going! Sometimes I add Peaches, or Berries…. Doesn't always look so pretty once you start getting colourful… But tastes delicious! 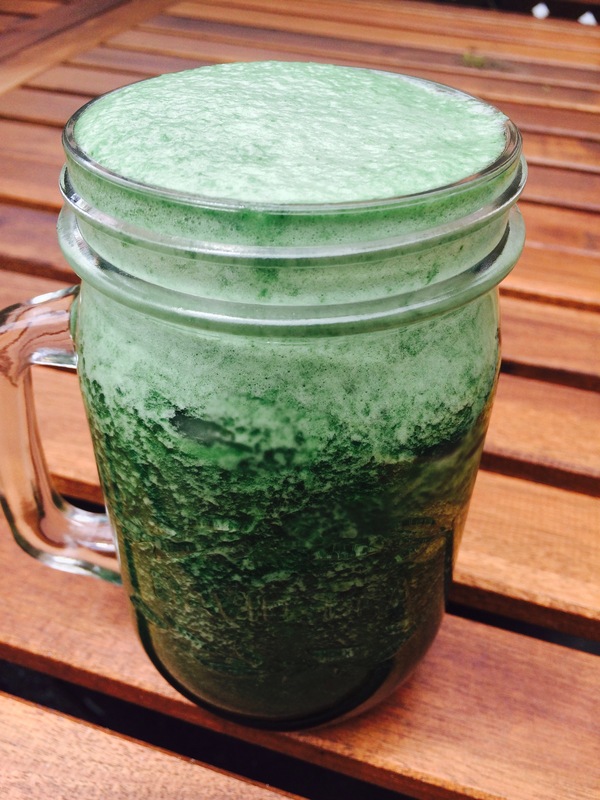 Because this smoothie is full of nutrients it will keep you full for a good amount of time. For me… I like to eat every 3 hours. So this is great to tide me over. Would love to know your feed back and if you get creative and add anything to it!